No, this isn’t deep philosophy about the meaning of life and mankind’s place in the universe. 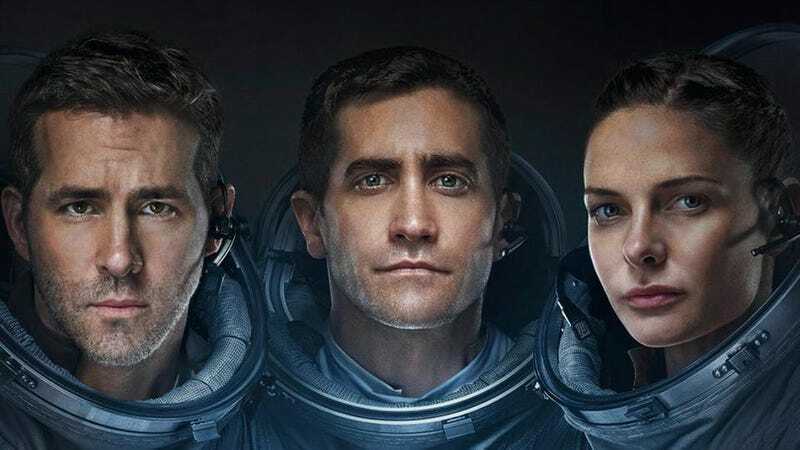 I’m writing about the movie Life starring Deadpool, Donnie Darko, and that gal from Mission: Impossible - Rogue Nation. I’m not going to drop any major spoilers (though they may be in the comments) but I will discuss some stuff a little beyond what’s in the trailers (including a point about something misleading in them) so here’s your spoiler warning. The movie takes place almost entirely on the International Space Station. But if you’re familiar with the ISS you’ll find plenty to nitpick. One thing I noticed right at the start was the nationalities of the six crewmembers - two American, two British, one Japanese, and one Russian. If something from that description doesn’t jump out at you or you can rationalize it to yourself then you probably won’t have a problem with the other discrepancies. But I’m not here to nitpick that stuff. I’m just giving fair warning to those who would. The movie moves at a good pace and clocks in at well under two hours instead of trying to stretch things out. There is time at the beginning to find out a little about each person on the station that helps make some of their decisions understandable, which doesn’t necessarily mean they are the best or right decisions. For instance the creature’s escape from containment isn’t quite as much the result of Prometheus-level stupidity as the trailers suggest. That said, Life still didn’t feel to me as much different from the usual “trapped in space with an alien” movie (or like certain episodes of The Outer Limits). Many of the best scenes are in the first half or so including a long single shot at the very start of the movie. Then it turns into pretty standard fare through to the end. If you enjoy the cinema experience* you might want to see it in the theater but otherwise I’d say wait until it’s streaming on the service of your choice. *In my case a pair of old Chinese ladies wandered into the theater by mistake near the end of the movie loudly looking for their seats before finding out their error so my theater experience wasn’t so great.